It’s been quite frankly, a couple of shocking seasons for Fulham with the club hugely under achieving in the Championship. The Cottagers have a squad full of talent and have spent millions on end to build a team that should be challenging for the play-offs at least. The club have, for me, the best strike partnership in the league with Moussa Dembele one of the best young talents in the Football League and the formidable Ross McCormack creating and scoring a whole host of goals. Scoring goals isn’t the problem, with Fulham actually scoring more goals than promoted Middlesbrough however they have leaked goals for quite some time now conceding the second most amount behind Charlton, this campaign. With Slavisa Jokanovic arriving in late December, the Serbians side were in a relegation scrap at points during his reign but next season this failure surely has to end. Jokanovic will be looking for another promotion in the Championship having got Watford promoted in his first spell in England. He installed all the qualities a promotion side needs with structure and organisation key. He then had the quality of players available to score the all important goals. However clean sheets were vital for Watford that season, something that was previously a problem. The mentality had changed positively which has to be credited to Jokanovic. The side would score last minute winners, win the odd game 1-0 and hold their nerve when it mattered most. All the ingredients to get out of the Championship. It’s surprising to see that fortunes haven’t changed at Craven Cottage. Goals are continuously being leaked and the inconsistency of the side must drive fans crazy. What makes the defensive record even more shocking is that the club brought in the experienced Richard Stearman in from Wolves for £2 million and Botlon’s player of the season Tim Ream for £1.4 million. This clearly has made little difference and looking from a fan outside the club, it must be the mentality of the group and the defensive structure throughout the side. Next season, Jokanovic will have his first full season at Fulham. They should realistically make the play-offs as a minimum with the likes of Tom Cairney, McCormack and Moussa Dembele at the club. Goals should not be the issue however Jokanovic must mould his team with a defensive intensity. The good football Fulham play must be balanced with an edge about them that can manage games and prioritise defending at times. The club will largely go under the radar when talked about for promotion so I do believe that with just a couple more high quality signings, Fulham can quietly go about their business and finally achieve their objectives. 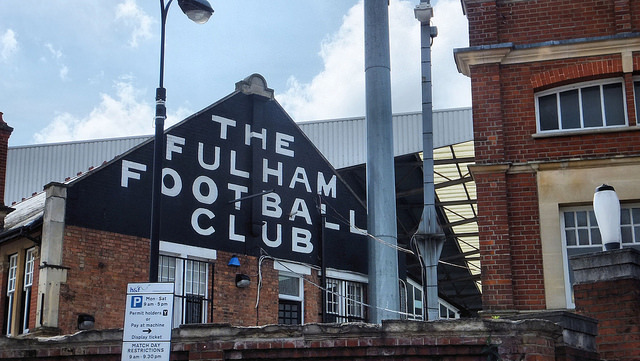 Fulham fans, what expectations do you have for next season? Let us know in the comments below!